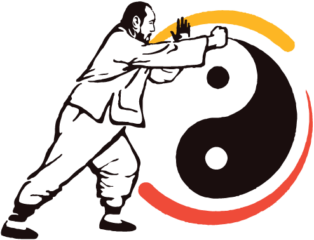 Tai Chi Chuan is a formulated set of movements designed for body and mind. This discipline for health and serenity is also a complete system of self-defense and a martial art that emphasizes sensitivity, serenity and flexibility. Our classes are conducted in a relaxed, go-at-your-own-pace, collegial spirit infused with the seriousness that the study of Tai Chi demands. Both beginner and intermediate classes are offered. Intermediate and advanced students learn push hands, saber, sword and spear. Sifu Larry Hawkins, a practitioner of Tai Chi and other Chinese martial arts for more than 30 years, is certified to teach Wu Style by the Hong Kong-based International Wu Style Tai Chi Chuan Federation. He studied in China where the Wu family developed the tradition five generations ago and trains annually with Grand Master Wu Kwong Yu in Toronto. All ages are welcome. Classes are conducted Tuesdays and Thursdays from 6 to 8:30 pm and Saturdays from 9am to 11:30 am.